Hello hello! Yay it’s time for a fitness blog post. I’m hoping you read my updated gym routine blog post, if not, make sure you check that out. 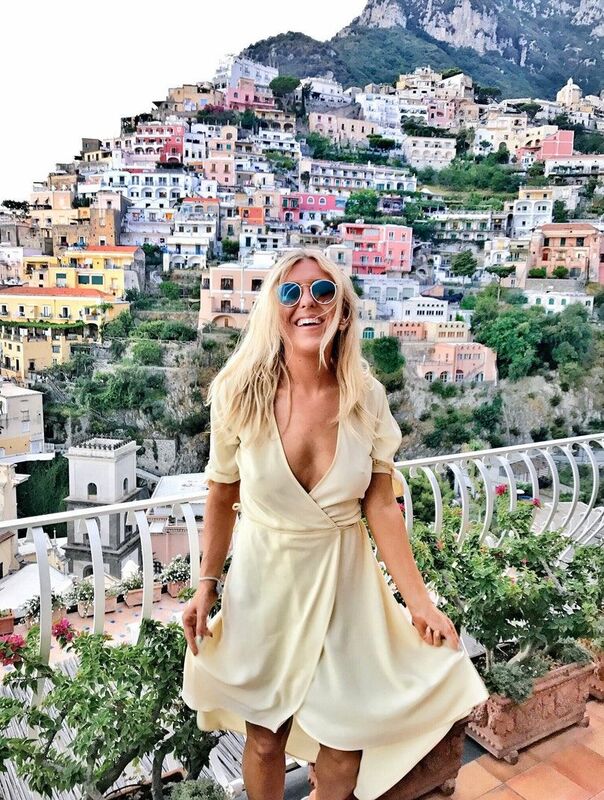 Today I wanted to do a summer fitness post and talk about some top tips for workouts and health from yours truly. I don’t believe in the whole ‘work hard for your bikini body’ mentality as in my mind, if you want a bikini body, you’ve already got one, just put a bikini on. But, on the flip side, I do understand people use goals such as summer or a holiday as motivation and goals for working out or eating better and you know what, that’s totally fine. It’s all about what works for you. If you are in need of some motivation this summer, I’m also gonna be telling you about an exciting 21 day challenge and you can start it as soon as you wish. Let’s talk fitness! This post is in collaboration with Herbalife Nutrition. Find something that you enjoy doing - First things first, exercise shouldn’t be a chore. Once it starts to become or feel like a chore is when you will lose the motivation for it. I’m a big fan of mixing up my workouts (I go to David Lloyd and it’s great as they have so many classes, I particularly love their Les Mills classes) but also, trying new things to figure out what I really enjoy. I used to only do spinning, now I do boxing classes (which I always thought I’d hate), spin classes and even PT sessions. Let’s be honest, no-one *really* enjoys working out but I do enjoy the endorphins afterwards. The more you get a buzz or a kick out of a certain workout, the more you’ll continue to persevere with it because it’s worth it for the endorphins afterwards. Make it convenient for you - I always say it’s important to make a workout convenient for you. This means, not driving 1 hour to get to a gym but maybe finding somewhere that’s on the way to your work or near to your house. It takes serious commitment to get to the gym anyway for many of us and the hardest bit really is getting there so try and make this bit easy and convenient for you. We all have busy lives. Challenge yourself - I was told in a spin class ‘if it doesn’t challenge you, it doesn’t change you’ and I think this is so true. I think challenges are great, firstly because they actually change you but secondly, they mentally make me feel motivated and ready to push harder. This is the exact reason I’ve teamed up with Herbalife Nutrition for this blog post, they’ve kicked off the Herbalife Nutrition 21 Day Challenge with Olympic gymnast Nile Wilson. It’s a dynamic new fitness initiative that will challenge people to shape up and lead a healthier, more active lifestyle in just 21 days (sign me up, now). As someone who likes a challenge and likes mixing my workouts up, I thought this was the perfect way to mix things up and try something different plus, challenge myself. This is also great if you’re someone who doesn’t have a gym membership or, you’re too busy to go to the gym as you can do these challenges at home. It also means you’ll stick to something as you can tick off each day in your diary and feel accomplished when you’ve done each day. The challenge brings something unique to the fitness mix that can deliver serious improvements to core strength, flexibility and co-ordination as well as a fresh perspective on fitness through the eyes of an Olympian. It’s open to all ages and fitness levels, users can train like Nile, with Nile in the comfort of their own home, no fancy equipment required, just a can do attitude! Gymnasts are known for their strength and discipline so the exercises in the program have been designed to challenge both mind and body which I’m so excited about as I believe fitness is about your mind as much as your body. The three-week program offers a great insight from Nile on what he believes are crucial within training – covering cardio, handstand practice, full body exercises, core, flexibility and embracing a healthy mind-set. The 15-20 minute sessions include some of the moves Nile relies on to maintain his powerful Olympian physique. Burpees, squats, jumping jacks, floor sprints and high knee running are packed into up-beat HIIT style classes, with integrated resting periods. I really hope you guys will join me to do the 21 day challenge! Simply head to www.herbalifeblog.co.uk to access the videos. The first workouts are now live online with a new one uploaded each day for the 21 days of the challenge. Goals are good - I really do think setting goals is a great way to get into your fitness regime, whether it’s setting yourself the challenge to do the 21 day fitness challenge or, setting yourself a goal to build your strength, fitness. Alongside my fitness goals, I’m also setting myself the goal *finally* to get a personal training qualification. It’s something I’ve wanted to do forever. I am so grateful and happy for the job I already do and do not want to change that, but, for my own mind, I want to learn more about fitness so that I can create better videos and write better blog posts with the knowledge I have learnt when it comes to fitness. For anyone wondering, I’ve started doing this with TrainFitness, I’ve chosen this because I can do distance learning meaning I can learn alongside my current full time job over a two year period and take it as slow or as fast as I wish plus, fit it in with my schedule. I also find ticking off goals in a diary every single day makes me more likely to do them do grab a diary! Abs aren’t just made in the gym - Whilst it’s important to realise that health isn’t just defined by abs, and having abs isn’t the be all and end all, it’s a good phrase to remind us that nutrition and sleep are just as important as working out. You can read my blog post about the importance of sleep here if you missed it. But, if you aren’t getting enough sleep, there’s no point working out and making yourself exhausted. With my diet, I strongly believe in balance. I get messages regularly asking ‘how I can eat carbs and have abs too’ and this makes me so sad as carbs are not the enemy. I eat bread pretty much every single day but I also work out 3-5x per week. I spoke to my friend Nic who’s a nutritionist about carbs and thought it was worth writing down her thoughts on them: carbs are often given a bad rep, however, gram for gram they contain the same number of calories as protein. People only think they’re fattening because of what we do to them, eg, eat them deep fried or covered in cheese and mayo after consuming our body weight in alcohol. Carbs are actually our bodys preferred fuel source and our brains run off carbs (glucose) meaning if you dont eat an adequate amount your performance at work or school could suffer in addition to your performance at sport or at the gym. Nic recommends never cutting them out and instead swapping refined carbs (white) for the wholemeal equivalent or snack on fruit and veg with dips. I do try to eat well 80% of the time but I will have a Chinese on a Friday and a pizza when I fancy. Life is there for living and I do not believe in restrictions or deprivation. It's all about moderation. When looking at food, I look at ‘saturated fat’ and ‘sugar content’. I do not count calories but I know this works for some people. I try to eat refined sugar-free snacks midweek and do bake them most days so it means I always have things ready to grab but they’re actually good for me. Throughout the Herbalife Nutrition 21 Day Challenge I'm using their Rebuild Strength high protein drink. I do a lot of exercises and it completely depletes me so this is for use after anaerobic exercise and contains 25g protein per serving that contributes to the growth and maintenance of muscle mass, delivering protein to fatigued muscles. Next, their protein bars. I'm always hungry and always need a snack but these taste incredible (I recommend the chocolate one, it tastes delicious) Herbalife Protein Bars are a high protein healthy snack and one bar contains 10g of high-quality dairy protein, which can contribute to the growth of muscle mass. Increasing your body’s lean body mass can contribute to an increased metabolic rate. I definitely struggle to get enough protein in my diet (I'm pretty bad with it) so think this is why I get the worst sore legs post-exercise, I need my muscles to recover with the right stuff so I can continue to work out. Other products recommended if you're going to take on the Herbalife challenge are the CR7 Drive, this is perfect for taking during exercise or sports. It is a carbohydrate-electrolyte solution that helps to enhance the absorption of water during physical activity and help maintain endurance performance. 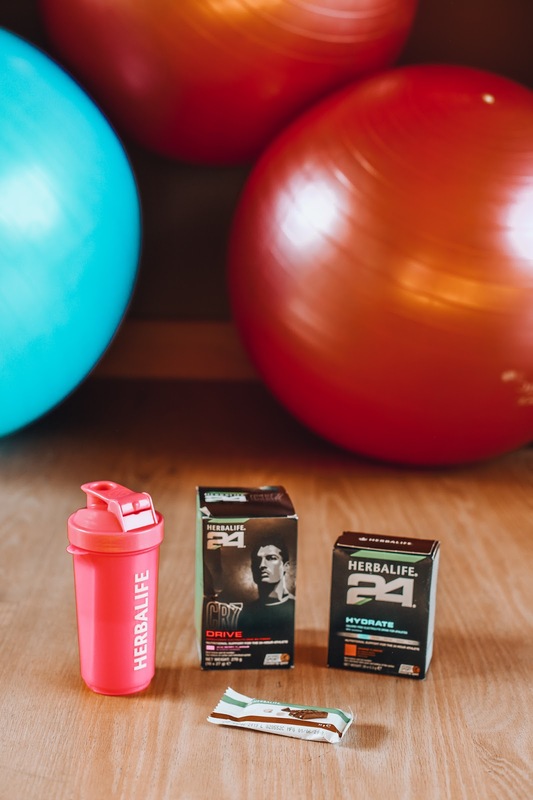 Lastly, Herbalife Hydrate, H24 Hydrate is a calorie free electrolyte drink designed to encourage fluid consumption. Contains 100% RI of vitamin C to help reduce tiredness and fatigue. I already blogged about the most important pillars of wellbeing but 'health' is about more than exercise, it's about exercise, sleep, the right nutrition and the right fuel for your body. Make It Part Of Your Routine - I think it's so important to make working out/eating well/sleeping part of your routine, then it becomes the norm to do it. For example, I prefer to do my workouts in the morning. It means I stick to them. You may take on the 21 day challenge and do the workouts at 8am every day or, at 10pm. It's all about making fitness a part of your life, rather than seeing it as a chore, that way, it feels wrong when you don't do it. Consistency is Key - Try not to worry if you don't see results quickly. It's a long process. I read somewhere that it takes 12 weeks to see a change in the body which is why it's important to be consistent and not give up. Also don't compare yourself, everyone has different genetics and we all have different schedules too. Rest days are just as important for your body as working out. Also, as you'll see with Nile's workouts, a workout doesn't have to be intense all the time, even things like walking are beneficial for you. I always say, there are tiny changes you can make including walking to work, getting off the bus one step earlier or drinking more water, but with these thing over time, big changes will come. So there we have it, I hope this gives you a bit of motivation for your health and fitness journey this summer. We all have different goals and challenges and that's the beauty of fitness, it's personal to you. Remember, focus on how you'll feel after it's done. You cannot beat endorphins! If you fancy a challenge, you can get started with the Herbalife Nutrition 21 Day Challenge here, now! *This is a sponsored post with Herbalife Nutrition but as always it's my 100% honest opinion.